Tanika Ray continues as co-host of “Extra,” the Emmy® Award-winning entertainment news program, for the show’s 25th season. Tanika returned to the show in 2017, after serving as a correspondent from 2004 to 2009. She now co-hosts alongside Mario Lopez, Renee Bargh and New York co-host AJ Calloway. Tanika's journey has been filled with dance, acting, hosting, producing, moderating, and most of all, adventure. What she has learned is that life isn't only about reaching the dream, but also each chapter that inches us closer to our goal. Ultimately, she plans to create a multimedia entity that uplifts, inspires and brings the diverse global community together through positive shared experiences. She has hosted numerous shows for NBC, CW, HGTV, LIFETIME, TLC, BET, and TVOne, including many reunion shows for Lifetime & VH1. Tanika deftly manages the multi-layered responsibility of hosting and producing live red carpet events. She has covered all the big ones in L.A. and NYC, including the Oscars, Emmys, Golden Globes, Met Gala, MTV Music Awards, American Music Awards and countless movie premieres for companies like TV Guide Network, NBC, Colgate, Essence Magazine and the NAACP. 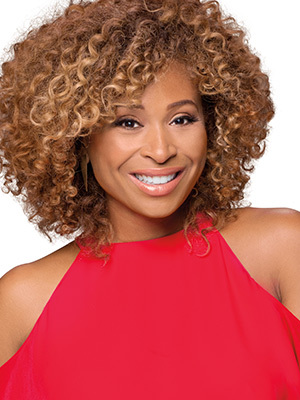 Thanks to her quick wit, fun energy and interesting take on Hollywood, Tanika has been on over 100 episodes as a guest panelist on various shows, including "GMA," "The Today Show," "The View," CNN, "Showbiz Tonight," "The Daily Share" and "Larry King." Now that Tanika is a mom, she feels even closer than ever to her ultimate goal. Her daughter has inspired her every day to manifest what she has learned along this journey, and to keep moving forward, fiercely focused on what's NEXT! !